Jubilee is happy to announce the upcoming premiere of Vincent Meessen’s new audiovisual work One. Two. Three, created for the Belgian Pavilion at the 56th Venice Biennale. 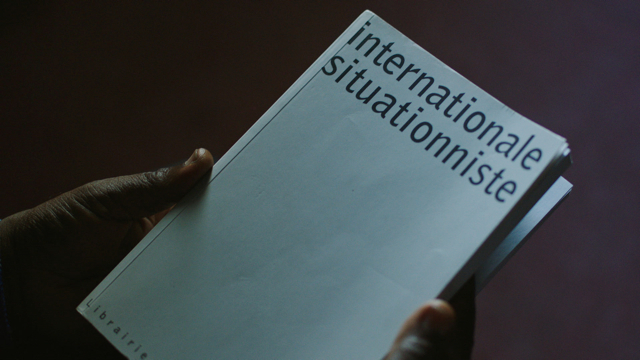 We are proud to be the executive producer of this intriguing video installation, that follows the trail of a forgotten history of the situationist movement in May ’68 to contemporary Kinshasa. One. Two. Three, a three-screen installation composed of musical, cinematographic and architectural elements, will be on display at the Belgian Pavilion at the 56th Venice Biennale until November 22nd. Afterwards it will move on to Brussels where it will feature as the central piece of a solo exhibition of Vincent Meessen in Wiels in 2016. From the research phase to the development and shooting of the film in Kinshasa up until the audiovisual postproduction and the fabrication of the sculptural installation, Jubilee has acted as the executive producer of One. Two. Three. 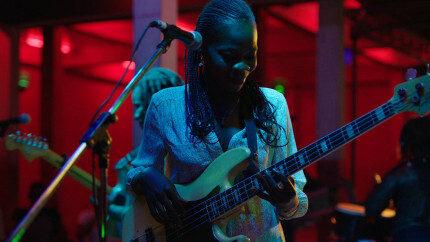 Key to the work is the collaborative process, both in Brussels and Kinshasa, with different artistic collaborators amongst whom a collective of four young female musicians in Kinshasa. In the framework of this project, they worked with the world-renown Belgian music producer Vincent Kenis to recreate a captivating musical piece to the lyrics of an unpublished situationist song, written by the Congolese intellectual M’Belolo Ya M’Piku in May ’68. In line with Jubilee’s focus on mutualised modes of production and micro-economies based on the redistribution of collective assets and resources, we are thrilled to have enabled this challenging international production process built on an unusual sharing and exchanging of practices, knowledge and means. We look forward to the first presentation of this work in Venice. The work will premiere there as part of Meessen’s exhibition project Personne et les autres, selected for the Belgian Pavilion this year and elaborated in close collaboration with curator Katerina Gregos. Personne et les autres, produced by Normal, breaks with the traditional format of a solo or duo show to include the work of ten international guest artists with related, research-based art practices. Meessen’s choice to share the Pavilion with other artists from different horizons is equally in line with his and Jubilee’s interest in the intelligence of collectives. The exhibition will be accompanied by a catalogue, the artist’s book Postface (to the scenic unit: Personne et les autres) and an edition by Vincent Meessen entitled Sire, je suis de l’ôtre pays. Accredited guests are cordially invited to the official opening of the Belgian Pavilion on May 6th at 13h and to the professional preview days on May 5th to 8th. 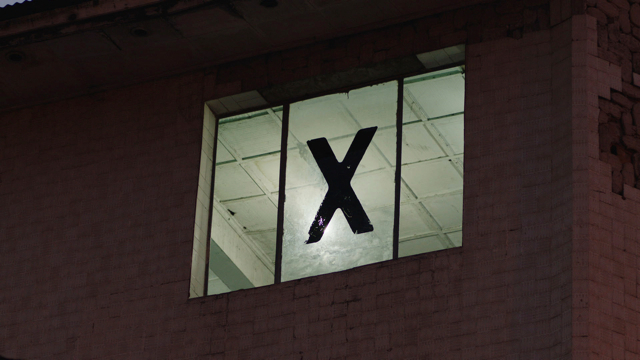 For the general audience, the Biennale opens on May 9th. Read more about One. Two. Three. Read more about Personne et les autres. For their support, we'd like to specially thank our co-producers WIELS, Willame Foundation and Africalia Belgium. We also acknowledge the long-standing and highly appreciated support of Flanders - State of the Arts.